This recipe was originally shared as part of the Good Eatin’ Recipe Hop hosted by The “Pitch List” Bloggers. Every Tuesday we would share great recipes and invite reader comments. To date this Clean Eating Slow Cooker Pork Taco Recipe is one of the most popular, surpassed only by BBQ Sweet & Sour Chicken. 2. Find quick easy meals for my slow cooker that support the first goal. This week’s recipe is Slow Cooker Pork Tacos brought to you by eMeals, which is making it easy for me to accomplish both of those goals. This recipe is nice because you can serve Pork Tacos for one meal and reserve the remaining half for the next night. Let me warn you that these are very, very good! My husband and I both said that we could have made ourselves sick eating these. You have been warned! 1. Season pork with salt and pepper. 2. Heat oil in a large skillet over high heat. 3. Add pork; cook 5 minutes per side or until browned. 4. Remove from heat and transfer to a 5 or 6 quart slow cooker. 5. Add parsley, oregano, garlic, broth, vinegar, peppers and crushed red pepper flakes to slow cooker. 6. Cover and cook on Low 6 to 8 hours or until pork is tender. 1. Heat tortillas according to package instructions. 2. Combine slaw mix, cilantro, lime juice, oil, cumin and salt in a medium bowl; toss to coat. 3. Gently warm pork in microwave or warm oven; shred with 2 forks. 4. Arrange pork in tortillas; top with slaw. Our family likes our meals on the spicier side so jalapenos and red onions was added to the recipe. When you try the Slow Cooker Pork Tacos, let us know your thoughts and how you personalized it for your family. Want some more recipes or ideas? You can go back to see recipes posted in past weeks for the Good Eatin Recipe Hop and see what the other ladies of the Pitch List are cooking up by following the linky. * I received one year of complimentary meal plans from eMeals through the eMeals Connect Blogger Program in exchange for an honest review. Regardless, I only recommend products or services I use personally and believe will be good for my readers. I am disclosing this in accordance with the Federal Trade Commission’s 16 CFR, Part 255: “Guides Concerning the Use of Endorsements and Testimonials in Advertising. You can read more in our Disclosure Policy. Fantastic idea to use the pulled pork for tacos. I do not know why I had never thought of this before but I will certainly make this for my family. I am always looking for more ways to get use out of my slow cooker…what a great recipe! This sounds so yummy and so different from the very saucy and carb loaded meals that one generally makes in the slow cooker. I will definitely try these. I love using my slow cooker it makes it so easy to throw it all in and let it cook all day. I am always looking for new slow cooker ideas and this sounds very yummy and something my family would like. I have a few picky eaters in my house! 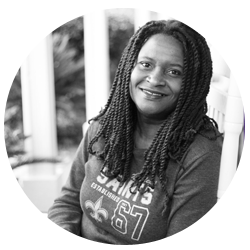 My husband loves pulled pork but I didn’t think about making it in the slow-cooker – your technique will make it easy for me. Thanks! My family loves tacos and we’ve never had them made with pork before. We love pulled pork, though, so I’m sure they’d all love this, too! It would make for a nice change! Thanks for the recipe! This looks like a good idea for dinner next time!! Thanks for sharing!! I must try this!! 🙂 I love my slow cooker! This sounds pretty good, will have to give this a try. I have never tried to make Pork Tacos before , this would be a great addition to my Super Bowl Menu! This looks Delicious. Yes, capital D delicious. I can’t wait to make this one. Thank you! These sounds sooo good! I want to make them for dinner right now! This recipe could launch ships! I don’t have a slow cooker, but this recipe is a must do – and I’m going to hound Santa for a slow cooker! So delish!!! Perfect comfort food, great for a buffet, anything! I was just sitting here trying to decide what’s for supper today. This may just be it! Allyson Bossie recently posted..Choose Your Gadget Giveaway ARV up to $800 11/21! Looks delicious Ive never tried pork tacos. Thanks for sharing this recipe. I’ve never tried a pork taco before. It sounds like it’s a good way to use up leftovers. I’m always looking for ways to recycle food. I want to make these soon, love pork! These sound yummy! I definitely need to use my slow cooker more often. We’ve pretty much been using pork for everything I used to use beef for… but the slaw on this sounds like it would take the pulled pork tacos I make around here to a whole different level…thanks so much for the awesome idea, and great recipe! Thank you, Thank you!! My family loved this dish!! First time in a log time there were no left overs!! It was delicious!!! Becky I am glad to hear you guys loved it as much as we did. wowzers this sounds amazing. didn’t even know you could do tacos in the slow cooker! 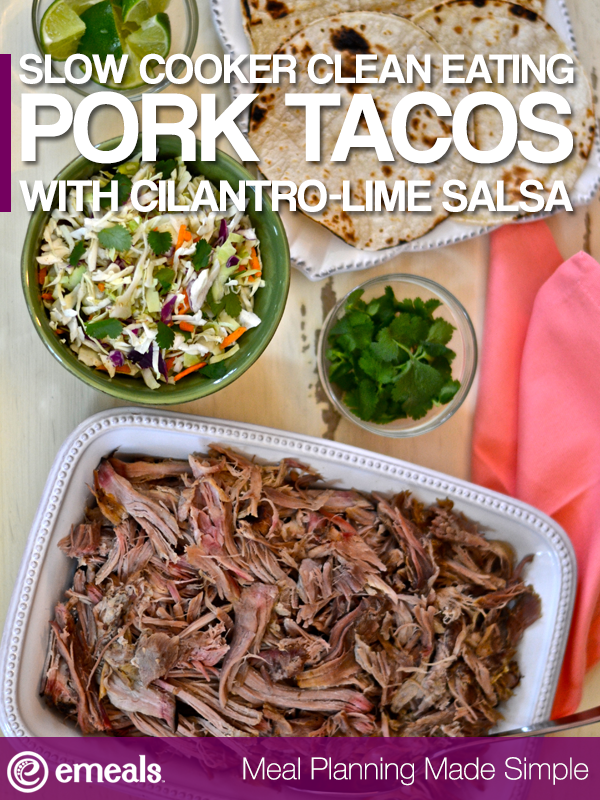 This recipe sounds wonderful, never thought about putting pork in my taco. Oh yes!! I just got a new Crock pot. this will be great for a first meal. thanks for sharing. Another great recipe for the Rolodex!! A great party food item!